Total Body Breathing is recommended by psychologists, yoga teachers, acting coaches, sleep specialists and many other professionals. Whether you’re stuck in traffic, sitting in a dentist’s chair, testifying in court, having trouble falling asleep, or just want to unwind at the end of the day, Total Body Breathing will work for you. You can use Total Body Breathing as often as you like. It’s quick. It’s simple. It works. 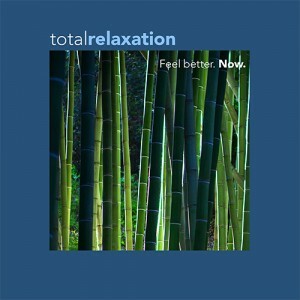 Total Relaxation is a new state of the art technique utilizing world-class musicians and a masterful narrator in four unique performances that enable the listener to experience profound levels of relaxation. The recording includes the following tracks: Track One: Focusing and Directing the Breath to Specific Parts of the Body (approx. 15 minutes) Total Body Breathing is an essential component of any state of relaxation. Practicing this first exercise, you will develop the ability to focus and direct your breathing to specific parts of your body. In doing so, your overall feelings of wellbeing will be enhanced. Track Two: Progressive Relaxation (approx. 4 minutes) You’ll learn how to replace the areas of tension in your body with soothing feelings of relaxation, calm and serenity. Track Three: Increasing Your Overall Comfort (approx. minutes) Your body has a wisdom of its own. Here, you’ll become more conscious of that wisdom, and as you do so, you’ll find that your body will actually show you how you can increase your overall feelings of comfort. Track Four: Discovering and Exploring Your Inner Space (approx. 14 minutes) This extremely powerful technique will bring you to a profound, healing place of peace that lies within.